This teapot is typical of the Winchcombe Pottery's well-designed and well-crafted stoneware products. 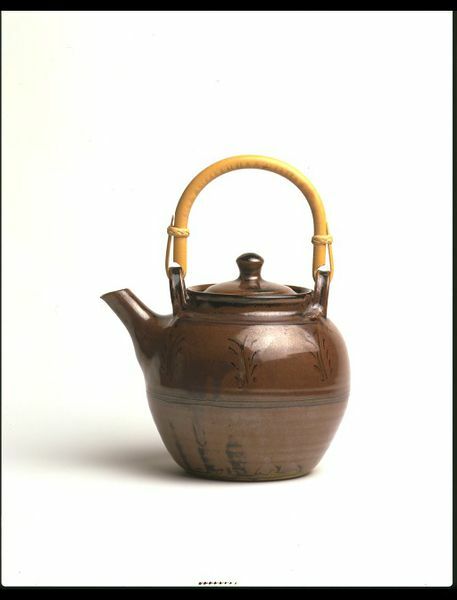 It shows the inspiration of far-eastern ceramic techniques with the employment of a distinctive dark glossy tenmoku glaze. Tenmoku is comprised of feldspar, limestone, and iron oxide. The colour results are notoriously variable and depend upon the rate of cooling. The quicker a piece is cooled, the blacker the glaze will be. Ray Finch originally worked under Michael Cardew at the Winchcombe Pottery but in 1946 purchased the site and got production going again following the disruptions of the Second World War. The first experiments with stoneware were attempted in 1952 and these practical and durable tablewares soon gained popular success. 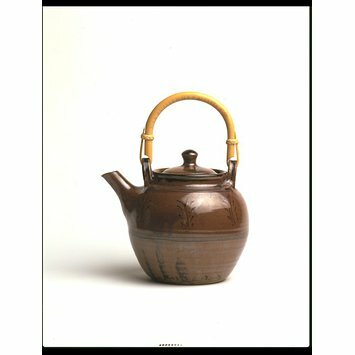 Teapot, stoneware, tenmoku glaze with decoration incised through glaze. 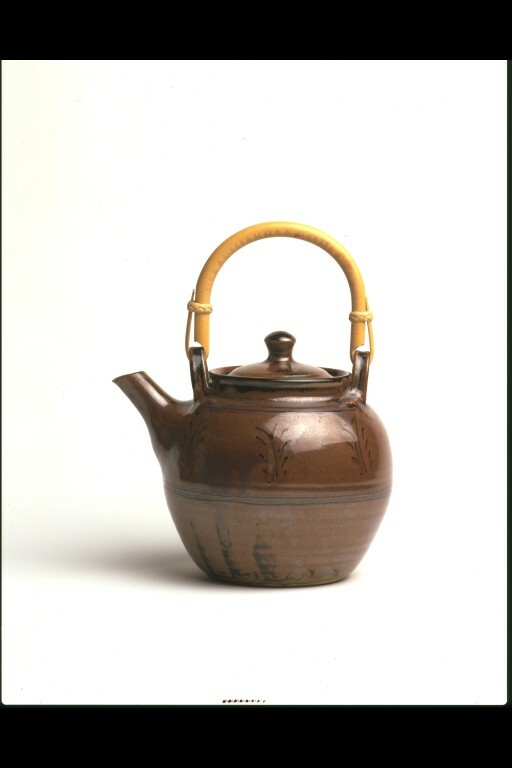 Teapot by Ray Finch, stoneware, Britain, 1982.